Music Man Guitars for Sale or Trade: NO COMMENTS PLEASE! 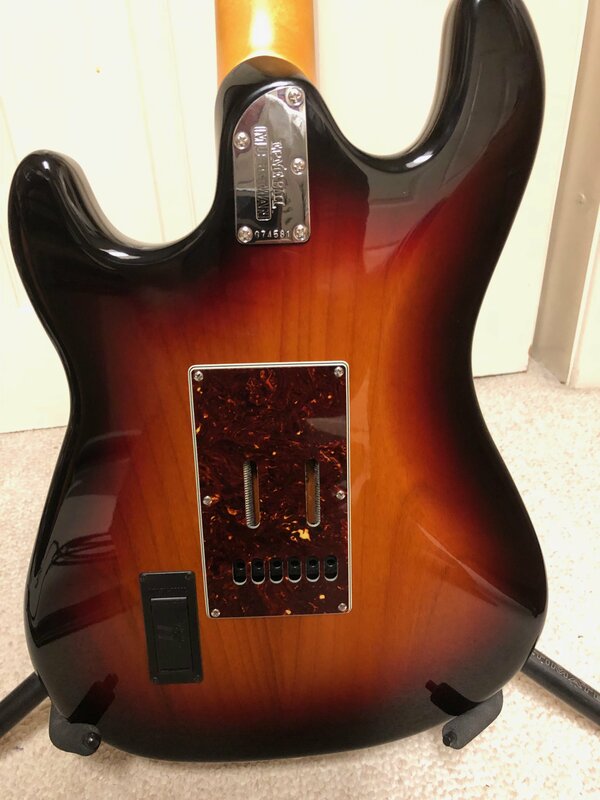 Thread: Music Man Guitars for Sale or Trade: NO COMMENTS PLEASE! Please understand that Ernie Ball is the only guitar manufacturer to provide a “For Sale Or Trade” service. This service is also free of charge. It is expected that the rules are strictly adhered to by all posters who use this privilege. The rules, set out below, have evolved over time at the collective request of fellow Forum members in an attempt to overcome issues that have arisen from time to time. *Sellers, Buyers and Traders are to take full responsibility for their transactions. EB will not accept liability. 1) Before posting an advert you will need a posting history of at least 25 previous posts throughout the Forum over a period of at least one month. Most importantly, you must be a contributing member of good standing in the forum community. In borderline cases, Moderators will review your posting history and will remove your advert if they deem necessary. 'Serial posting' in an attempt to obtain 25 posts in a short time period of time is not allowed. 2) Only EB/MM items may be advertised. 3) No advertising for a friend. 4) In the case of a sale, state the selling price. 5) Asking for payment by PayPal gift option is not allowed. 6) Do not link your post to an on-line auction (e.g. Ebay) or to any other media where you may have placed your advert. 7) No comments please. If you need to compliment, ask/answer questions, or negotiate then do so by private message. 8) Posts will expire after a month but you are at liberty to re-post your advert after that time if you wish. 9) Please delete posts when transactions have been finalized. 10) Please limit the number and size of photographs in your posts. Maximum of 5 photos per post (less is OK too). You can privately share more photos with interested buyers when they contact you. Note: Failure to observe any of the above rules will result in automatic deletion of your posts and, in some cases, the possibility of being either temporarily or permanently banned. Last edited by wesman11483; 02-02-2019 at 01:31 PM. Reason: Actually F/S is exactly the right place! Hi all, I'm hoping someone might want to trade their Silhouette Special for my Reflex. She's in perfect condition and the case is also. Looking for a newer model preferably in similar condition. I am selling my Valentine in Trans Buttermilk. It has less than 10 hours of playing time on it. My brother bought it for me as a gift and I had no idea I was getting it. 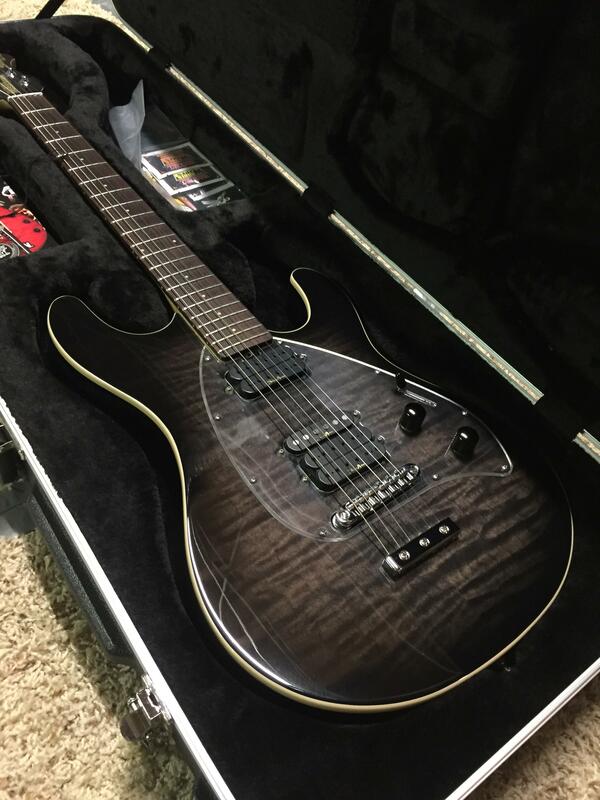 It is a gorgeous guitar that looks and plays like a dream. I am the original owner and it was hand picked by my rep at Sweetwater. He is a player and is the only person I trust to grab me "the one." I have posted the actual pics of the guitar from Sweetwater, but have take some of my own personal ones I can PM you. It also includes the signature Valentine hardshell case. 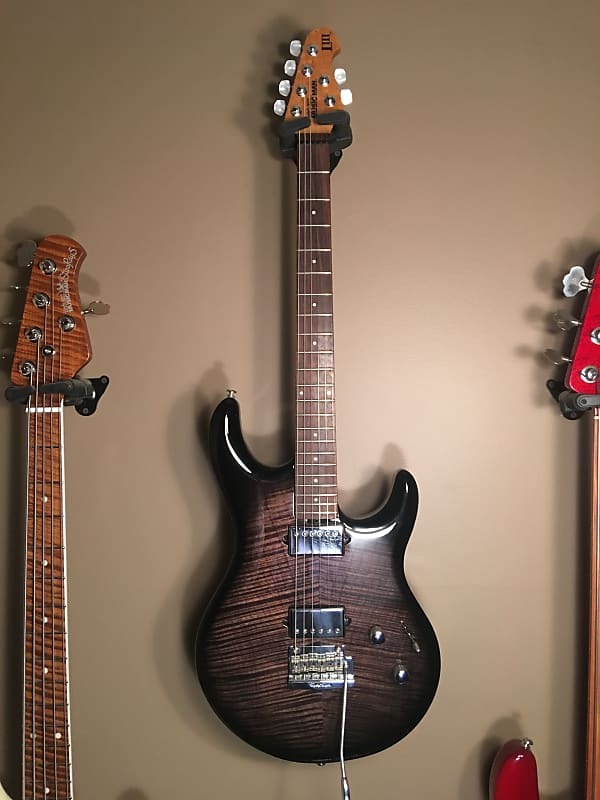 I am asking $1700 for this beauty and really want it to go to someone that will play the heck out of it. I am located in North County San Diego, so hit me up if you want to look at it in person. I'm a stones through from Los Angeles as well. Thanks for looking and keep on creating. I've got a set of single coils from an AL available if anyone is looking. 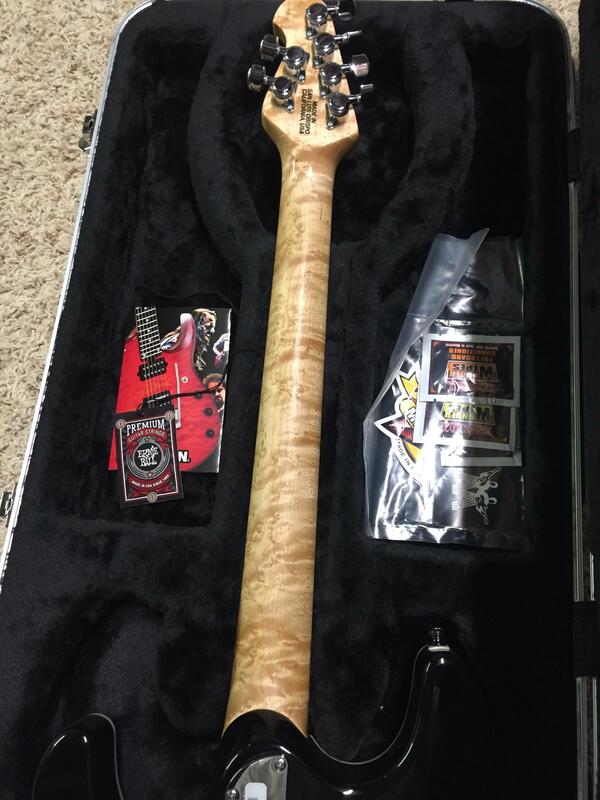 I also have a Sterling HS bass that I am looking to trade for a guitar. Admin , apologies if this is in the wrong place, or contravines any rules that I am unaware of. Please advise if so. Last edited by MM Luke; 03-26-2019 at 04:49 PM. Only three tremolo models ever made.The model is an BFR Axis Super Sport with a vintage tremolo. featuring a figured koa top, alder body, mahogany tone block & mahogany neck, and rosewood fret board. There are only three Natural vintage tremolo models made. Amazing instrument. Rare. A special guitar . Comes with a custon G&G case a EBMM tremelo arm. Contact me for more pictures, I am having trouble uploading. Last edited by HCB; 03-29-2019 at 11:22 AM. Steve Morse Y2D in the discontinued blackburst color with matching headstock. Comes with all case candy. Guitar and case are in excellent condition with very little play time. It has some typical light scratches from handling but nothing that won’t buff out. Excellent combo of Birdseye/flames figuring on the neck. $1650 shipped/Paypal’d within the lower 48. Not interested in trades. Reduced: Axis SS Semi, 20th Anniv. Silo. The prices on each of the following guitars include ground shipping to the continental US. This Axis SS is the guitar that really made me love maple finger boards. I don't think a maple neck could be more perfect than this one. It has some birds-eye, it has some flame, and what you see varies based on how you hold it. The MM90s are fantastic, as always, and this is probably my favorite of the five piezo-equipped EBMMs that I've played as far as how the piezo sounds on its own. Also has pearloid tuner buttons. 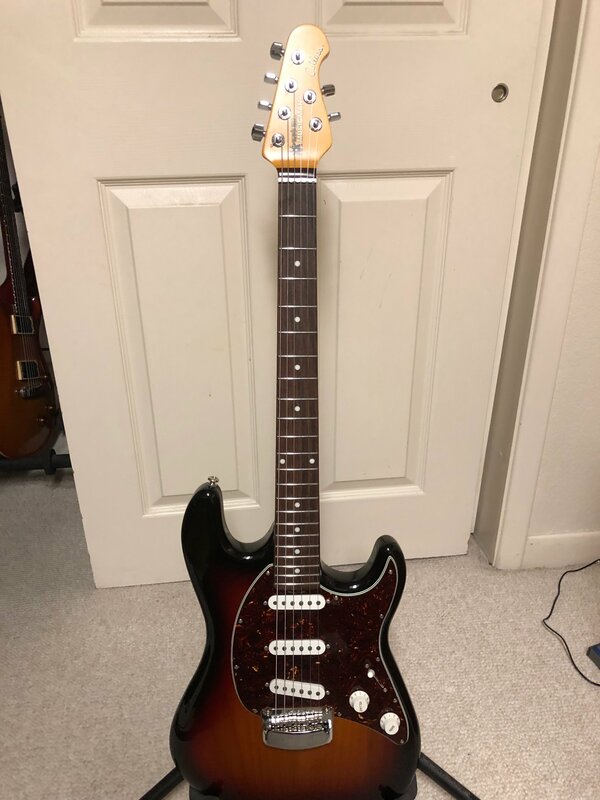 This guitar is in excellent condition. I am the original purchaser, and it was never on floor display where I bought it. It's only been out of my music room on one occasion when I played it at church. As a result, both the body and neck are pristine. There is slight fret wear on frets one and two under the E and B strings. Ships with original hardshell case. Purchased NOS in spring of 2017. 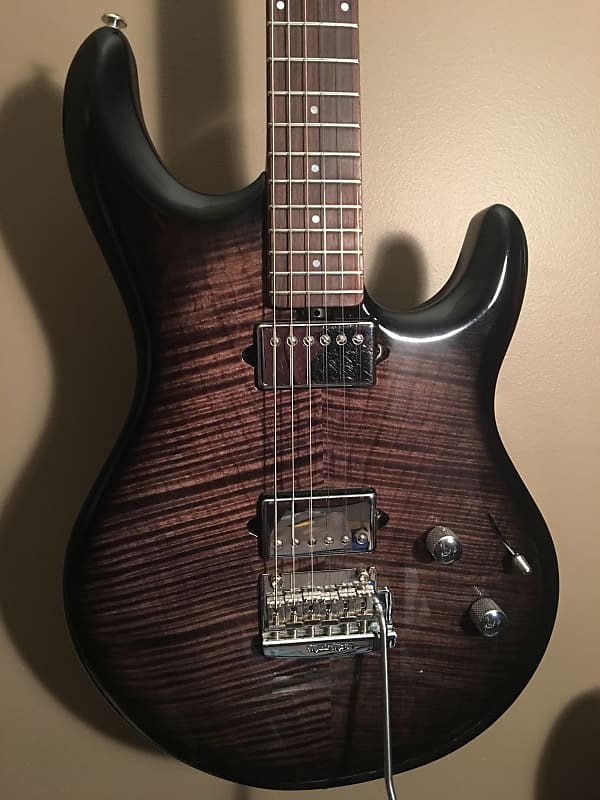 I've owned this guitar since mid-2016. It features a quilted maple top that alternates between the quilt and grain being prominent as you move it in the light. 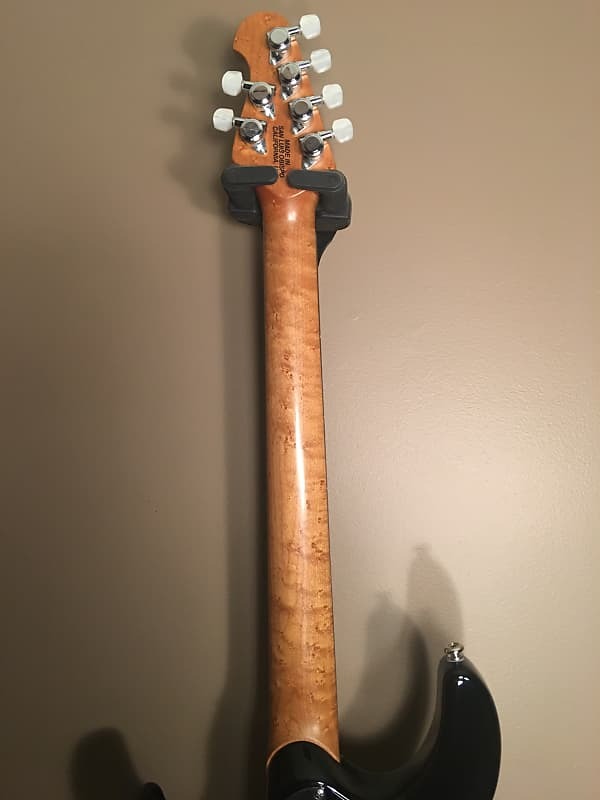 The maple neck has both birds-eye and flame in it as you move it in the light. The fingerboard is rosewood. I played this guitar once or twice in church, but have not gigged with it otherwise. It is in excellent condition. I don't see any dings in the body or neck at all. The original cloth/tweed covered hardshell case is included. 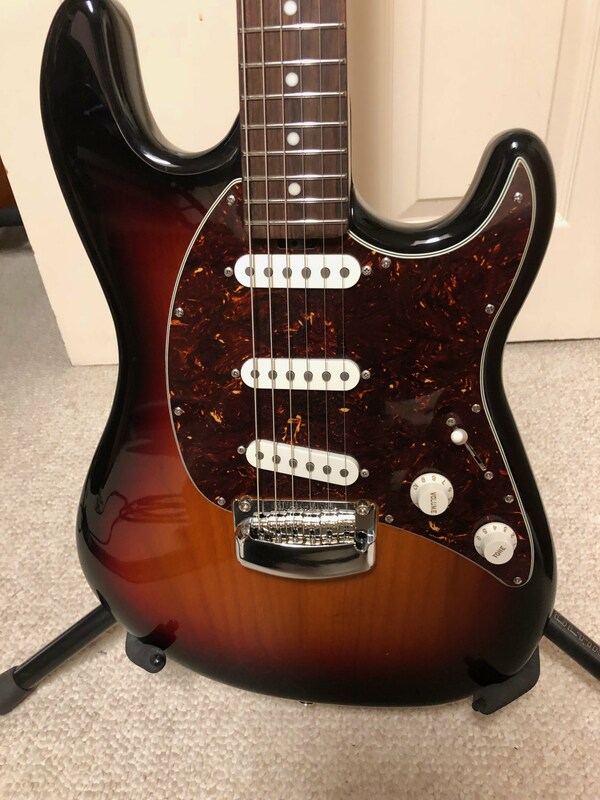 Bottom line, it's a really gorgeous instrument from a special run, and I understand it to be one of 13 with the hardtail-piezo combination from the run. The neck plate is stamped with "Custom Made" on it as part of this commemorative run. Last edited by jones4tone; 04-04-2019 at 09:07 AM. Folks, please keep the number of photos in your F/S post to no more than 5, so as to limit the amount of scrolling people have to do to get through the thread. If people are interested you can share more photos with them directly when they contact you. I bought this Luke III brand new in 2015. It is in excellent condition. There are no dings, marks or damage at all. However, the neck pickup has some fine scratches on it from playing, which you can see in the pictures. 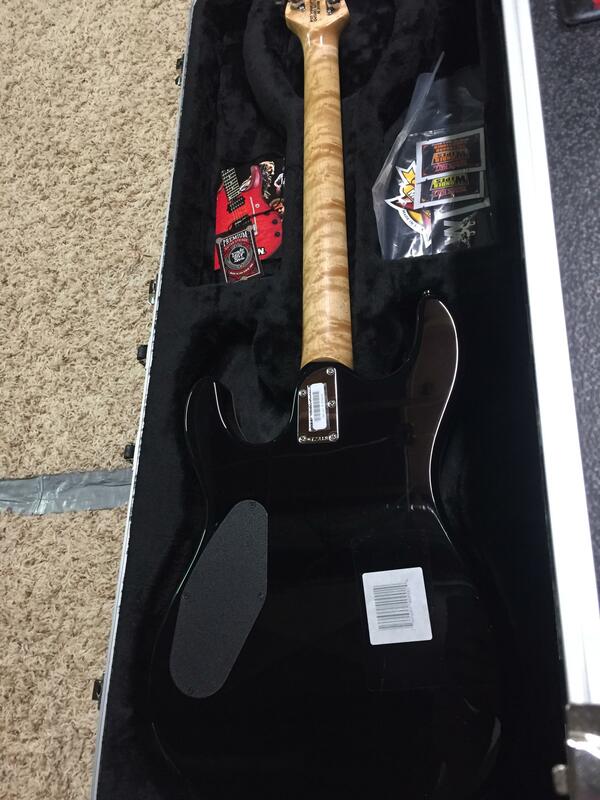 It has a roasted maple neck, rosewood fretboard, and an alder body with a premium flamed maple top. It has a factory volume boost with the push/push volume knob, which is great for solos. 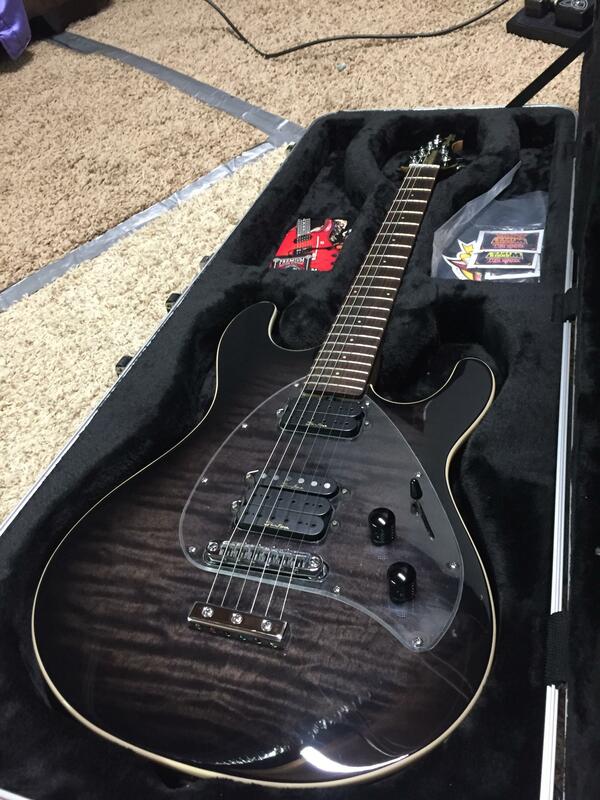 It has the factory DiMarzio Transition pickups, which are very versatile and sound fantastic. I just put brand new Ernie Ball Super Slinky 9's on it and a new battery for the boost. 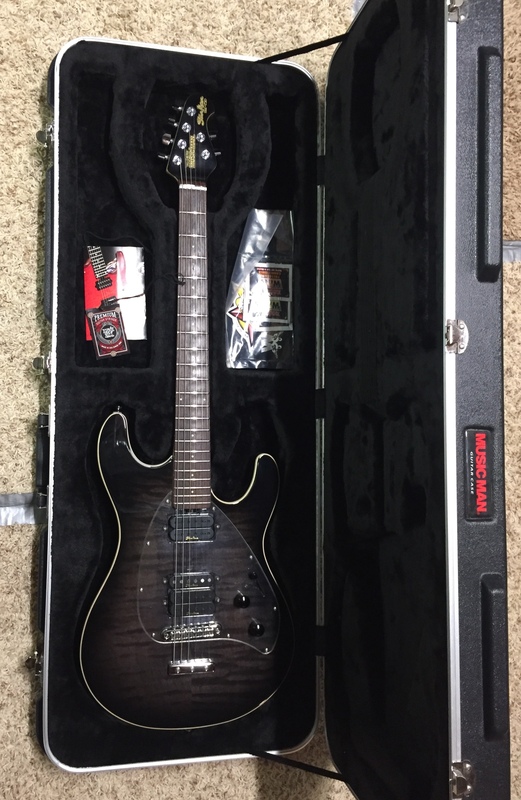 It comes with the Music Man hard case. Shipping with insurance is free within the Continental US. Elsewhere, to be determined. Last edited by Tollie; 04-10-2019 at 10:55 AM.